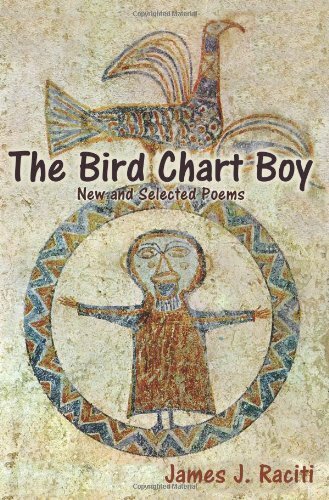 The Bird Chart Boy explores how a child, an adolescent, a mature man and an octogenarian face their daily emotional trials. It is also about how the mind distorts reality to deal with situations beyond its experience or comfort level. The reader may be convinced that the distorted view is the true one, or maybe not. The characters that populate the pages of this book share their distress in many ways including being caught in an illicit love affair, arrested in a foreign land, shot at in a war zone, learning about the birth defect of a son, being pushed into a bread line, and withdrawing from a world no longer tolerant or understandable. Raciti selects poetic styles that fit the speaker—be it simple child-like rhyme, free verse expressing cynical snobbery, sneering anger or political criticism. He reserves the formal nature of the sonnet to speak reverently of love or death.